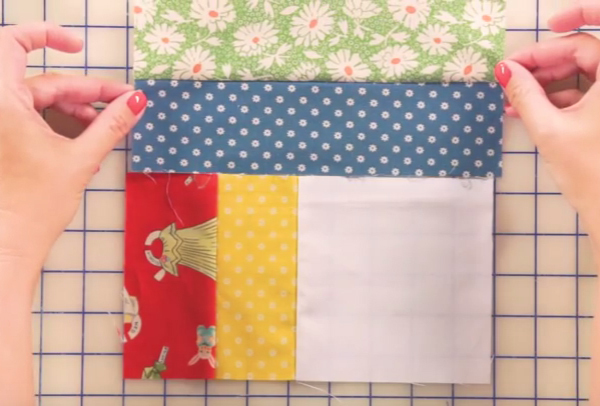 Today, we have a fun shortcut quilt tutorial for all skill levels! Jolly Roll Twist, our free pattern, features a modern layout mixed with the classic prints and colors of Hop, Skip, and a Jump! fabric by American Jane for Moda! 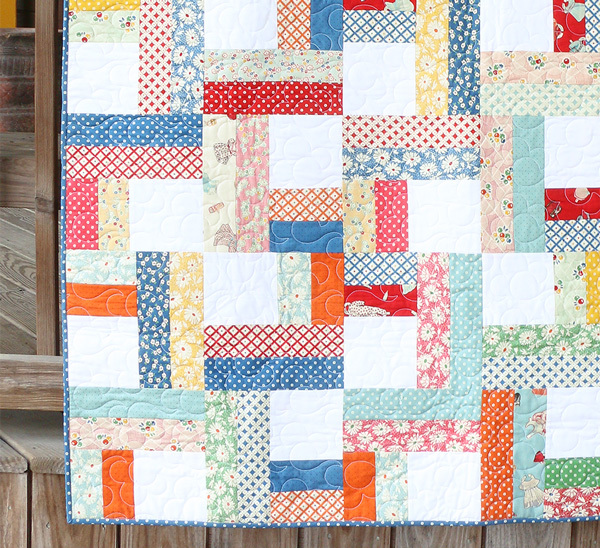 All you need for this quilt is the Jelly Roll Twist Quilt Kit or your favorite Jelly Roll! We also used our go-to Aurifil 2000, our favorite Creative Grids Ruler, and our trusty Alphabitties to make this quilt a cinch! Are you ready to get started? First, we selected our favorite 34 prints from the Hop, Skip, and a Jump! 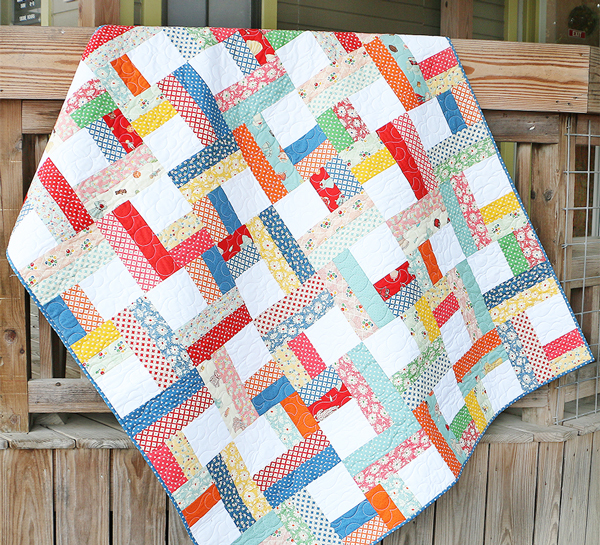 Jelly Roll, and stitched them together! 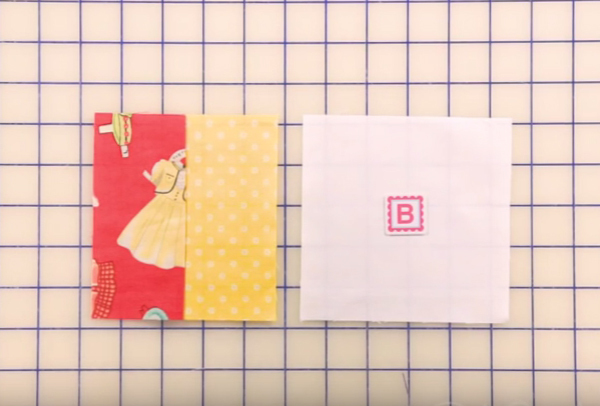 After pressing and cutting the Jelly Roll strips, we aligned them with the solid block squares! Next, we lined up the long strips, short strips, and solid blocks! Ready for all of the in between steps? 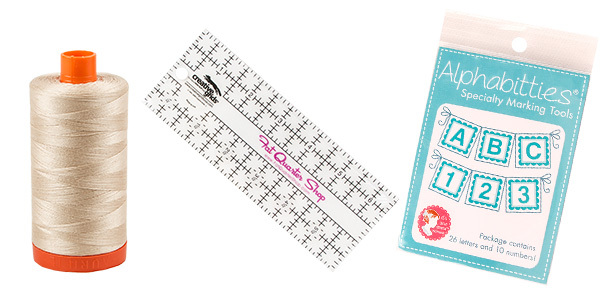 Download your free pattern and get started now! 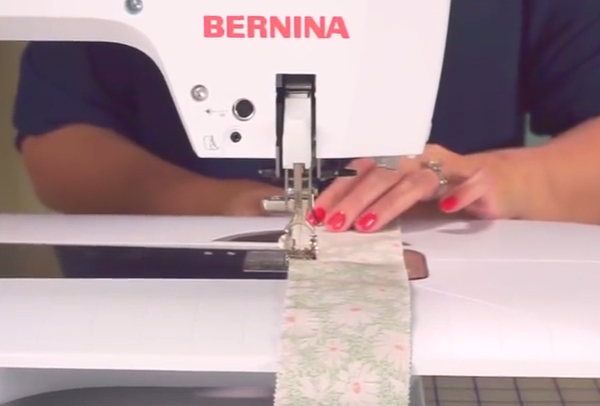 We'll walk through the Jelly Roll Twist quilt with you every step of the way!